Zella Emiliano died Wednesday, February 6, 2019 in her home surrounded by her loving family. She was born on December 30, 1940, to Roderico and Gravielita Neurauter and attended school in Carlsbad. She married Alberto Emiliano on March 21, 1955. Zella was an amazing wife, beloved Mother, Grandmother, Wela, Great-Grandmother, and Mother-in-Law, Aunt and friend. She was a member of the San Jose Catholic Church. In addition to ensuring that her children made their First Holy Communion, Zella transported many neighborhood children to CCD Classes so that they, too, could make their First Holy Communion. She did many selfless acts of kindness but mostly gave of herself to help others, never expecting anything in return. After retiring and prior to her illness, she volunteered with the Caring Hands Ministry at San Jose Church. Zella provided the elderly with rides to doctor appointments, visited and took care of those who had no one else or who preferred her company. Zella was an exceptional cook. She worked as a cook in the Carlsbad Municipal Schools and at the IMCC Cafeteria. Most of all she enjoyed cooking for family and friends. Zella was famous for her tortillas, tamales, enchiladas, asado, menudo, salsas, cakes, cookies, and so many other savory foods! She often made and delivered meals to the elderly and infirmed—the original “meals on wheels”. Zella loved to go to dances, to the casinos, and to visit new places with family and friends, but most of all she just loved spending time with her family. She was a blessing to all who knew and loved her. She is survived by her husband of 63 years, Alberto Emiliano; her son Fernando Emiliano and wife, Josie of Sonora, TX, Juan Emiliano and wife, Fina of Odessa, TX, a nephew whom she loved like a son and who loved her dearly; daughters: Maria Munoz and husband, John Sr. of Carlsbad and Rosemary Herrell and husband, Tony of Denver, CO; her five beloved grandchildren: Fernie Emiliano and wife, Gloria of San Antonio, TX, Monica Madrid and husband, Christopher of Taos, NM, John Munoz, Jr. and wife, Tamara of Carlsbad, Melissa Martinez and husband, Steve of Tucson, AZ and Tina Van Bockern and husband, Philip of Denver, CO; and eight great-grandchildren. 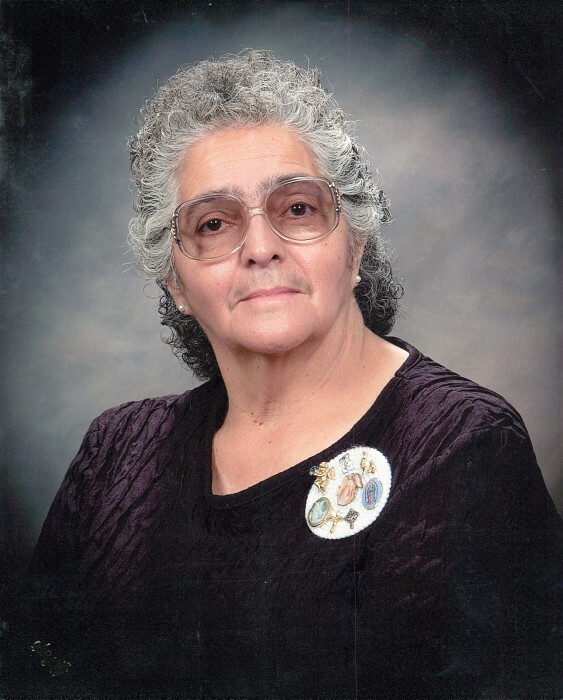 She is also survived by her sister Evelyn Calderon, her niece Betty (Ramirez) Martinez who loved her and visited often, plus many other nephews and nieces. Zella was preceded in death by her parents; three brothers: Junior, David and Bobby Neurauter; and two sisters: Celina Renteria and Gloria Ramirez. A vigil is scheduled for 7:00 PM, Sunday, February 10, 2019 at San Jose Catholic Church. A Christian Mass will be held at 10:30 AM, Monday, February 11, 2019 at San Jose Catholic Church Fr. Francis Rayappan officiating. Interment will follow in Carlsbad Cemetery, new section. Denton-Wood Funeral Home is in charge of the arrangements. Pallbearers will be Fernando Emiliano, Fernie Emiliano, John Munoz Jr. Tony Herrell, John Munoz, Sr., and Juan Emiliano. A special thanks to the Encompass Hospice team who guided us through the difficult journey of caring for our wonderful Mother. Also, to our San Jose Catholic community who kept our family in constant prayer.